Everybody wishes for beautiful and healthy nails that can be styled in any way they like. However, this often-ignored part of the body also requires some special love and care to stay healthy. Brittle nails are a widespread problem that persists among men and women. 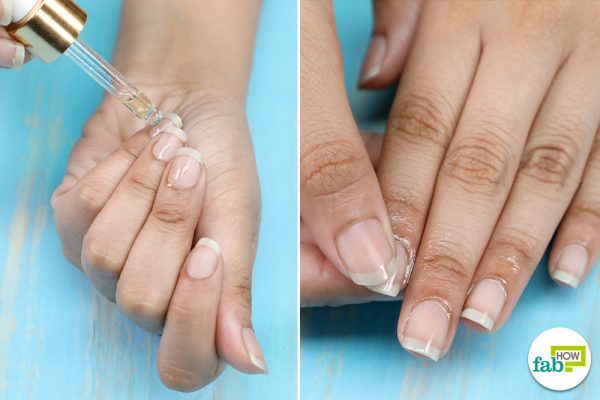 Aging, overexposure to water, underlying diseases, environmental factors, and vitamin deficiencies are a few major causes of unhealthy and weak nails. Excessive use of nail lacquers and removers also damage them in the long run. 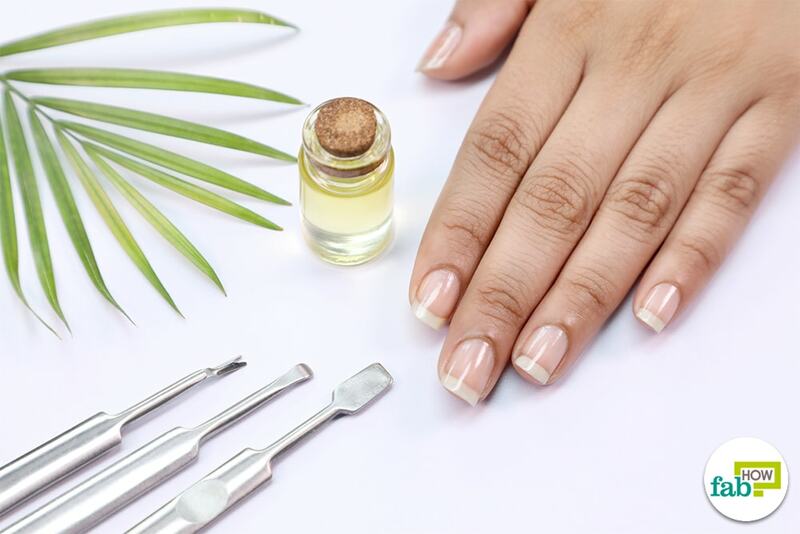 A few signs of unhealthy nails are yellowing or discoloration, brittleness, and slow growth. They look dull, dry, and uneven and can affect the overall appearance of your hands. Also, splitting and cracking nails lead to a lot of pain and discomfort. Fortunately, it is not too hard to fix this problem. Follow a healthy lifestyle and an effective nail care regime, and you’ll have those perfect, smooth, well-shaped nails you have always desired. Manicures are great for the health of your nails, but it is hard to find time for this relatively long process in our busy schedules. If you are looking for a quick and easy way to take care of your fingernails, we’ve got you covered. This DIY brittle nail serum for damaged nails is a combination of several ingredients that are great for the health of your nails. Put 2 teaspoons of olive oil in a bowl. Add in 2 teaspoons of castor oil. 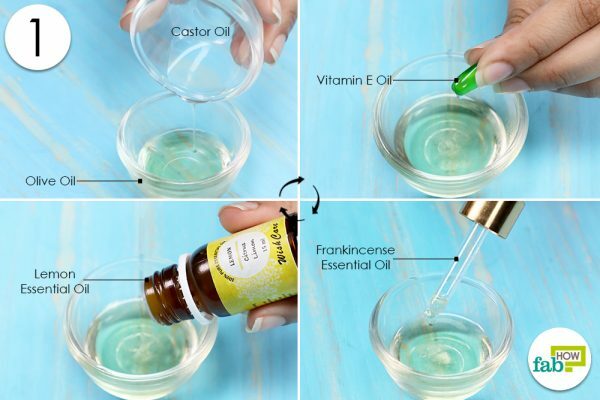 Put 1/2 teaspoon of vitamin E oil in the mix. Add 10 to 15 drops of frankincense essential oil and lemon essential oil. Add 10-15 drops of lavender essential oil. Put 10 drops of myrrh essential oil into the solution. Stir to mix the solution. 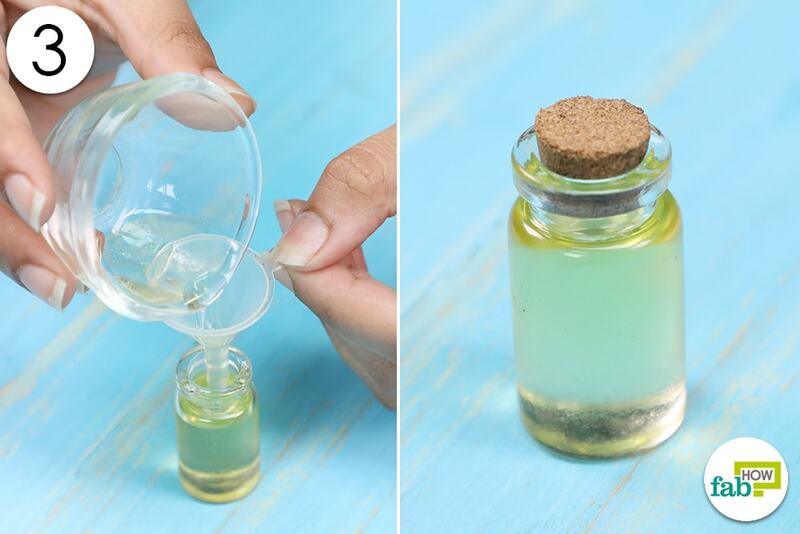 Transfer the serum into a bottle to store. Wash your hands before using the serum. It works best on clean nails. Apply 2 to 3 drops of the solution on each fingernail. Massage your nails in a circular motion for a few minutes. You may leave it on as this serum is easily absorbed by your skin. For best results, use the serum about three times a week. Use this remedy at night to ensure maximum absorption. The serum will remain potent and best for use for about 6 months. Olive Oil: The beauty benefits offered by olive oil are due to the presence of vitamins A, D, K, and E along with several other nutrients. Olive oil is a strong emollient and is good for your skin and hair. The moisturizing property present in this oil repairs damaged nails and softens nails and cuticles. It is also great for preventing hangnails. Olive oil penetrates deep into the nails and strengthens them from deep within. It is a suitable natural alternative to chemical-laden over-the-counter products that may end up causing considerable damage in the long run. A simple olive oil massage will hydrate your nails and cuticles and keep them from becoming fragile. Castor Oil: This ingredient is rich in ricinoleic acid that possesses antibacterial and anti-inflammatory properties. It is also rich in vitamin E. Other than being great for skin and hair; castor oil can do wonders to the health and appearance of your nails. It helps treat cracked and brittle nails, strengthens them, and promotes nail growth. It also helps keep infections at bay. Vitamin E: Vitamin E offers anti-inflammatory, antioxidant, and healing benefits and is used as a key ingredient in several beauty products. It is good for the nails due to its strong nourishing and moisturizing properties. From splitting nails to dry cuticles, vitamin E is an effective solution for an array of problems. It is best to use undiluted vitamin E oil for this remedy. Vitamin E will strengthen your cuticles, add shine to them, and protect your nails against damage. Essential Oils: If you are still untouched by the craze around essential oils, you have some serious catching up to do. These wonder oils offer physiological, psychological, beauty, and therapeutic benefits. Lavender, lemon, myrrh, and frankincense essential oils are among the most popular ones. 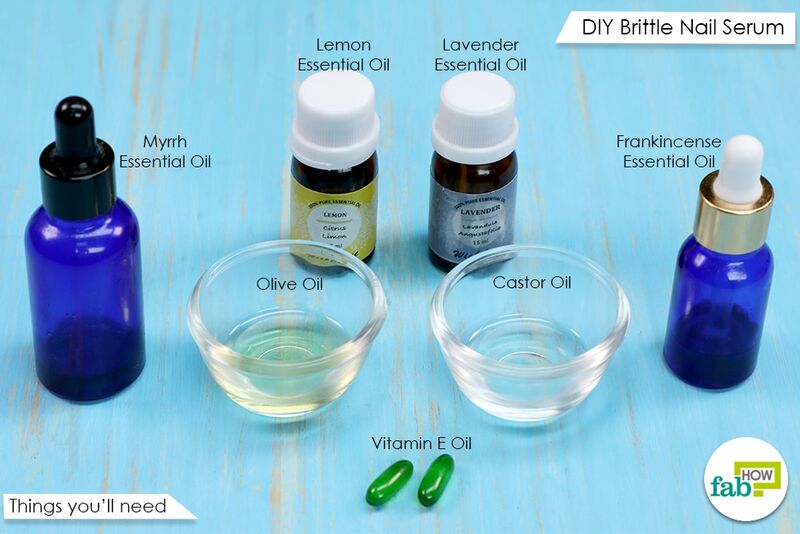 Other than being effective for healthy nails, these will also give your serum a pleasant fragrance. Lavender essential oil comes with the goodness of 150 active constituents along with antiseptic, analgesic, anti-inflammatory, antibacterial, and antidepressant properties. It is useful in treating anxiety, minor burns, respiratory issues, insect bites, minor wounds, acne, and other ailments. 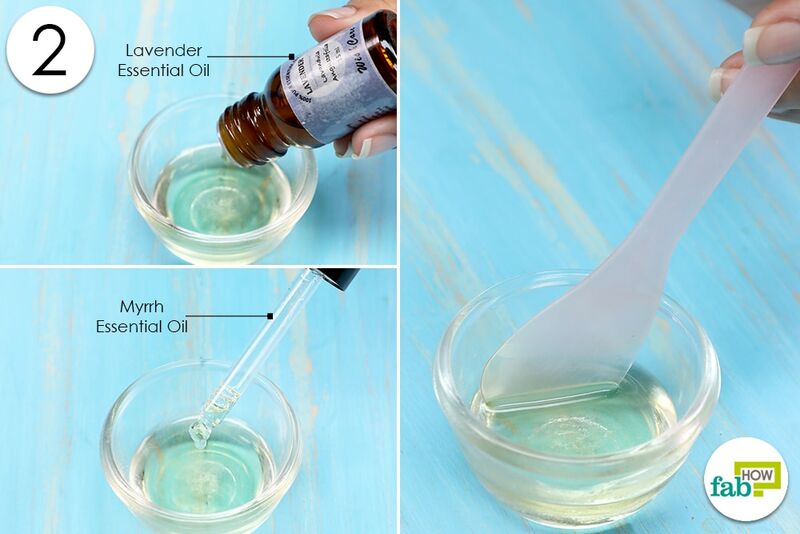 This versatile oil is widely used in cosmetic and beauty products. Lavender essential oil will soothe inflamed cuticles and will help in strengthening brittle nails. It will also keep your nails and cuticles moisturized and keep infections away. Myrrh essential oil offers antimicrobial, astringent, antifungal, antiseptic, anti-inflammatory, and antioxidant properties. It is excellent for healing and repairing the skin and protecting it against harmful UV rays. It is useful for accelerating the growth of nails. Myrrh oil moisturizes the nails deeply and shields the cuticles from becoming dry, thin, and brittle. Its regenerative and nourishing effects will give you strong and healthy nails. Lemon essential oil apart from having the most refreshing and soothing smell, also offers antiviral, antibacterial, antiseptic, astringent, and detoxifying properties. 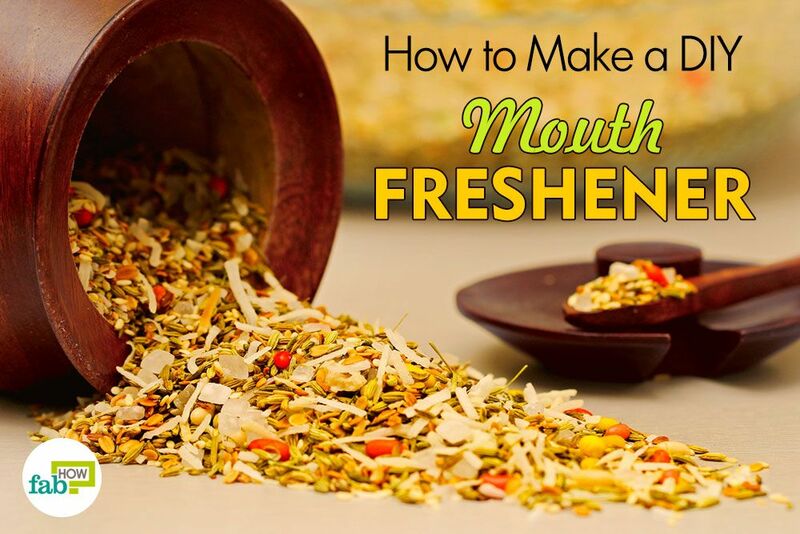 It has several health benefits, and it is used in beauty and skin care remedies. The lemon essential oil can be used to make your nails stronger, improving their appearance and keeping away fungal and bacterial infections. It is also capable of preventing the yellowing of nails, giving you bright and shiny nails. Frankincense essential oil also consists of several properties that are beneficial for healthy and beautiful nails. It is great for delicate fingernails and offers protection against infections that hinder nail growth. It will keep your cuticles moisturized and conditioned. Make sure your hands are clean and remove your nail paint before using this serum. Here are a few natural ways to remove nail paint without using a chemical-laden nail polish remover. It may take some time to get rid of brittle and weak nails. Be patient and keep following a healthy nail care routine. A nutritious diet will also help keep your nails healthy. Excessive use of commercial products may damage your nails. Do not cut the cuticles. Regular manicures and pedicures will also help to make your nails strong. Always complete your favorite looks with a perfect coat of nail polish.